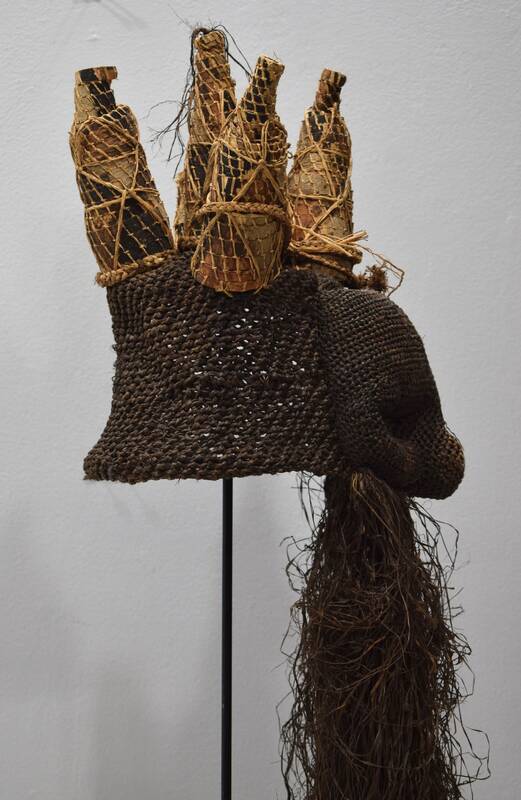 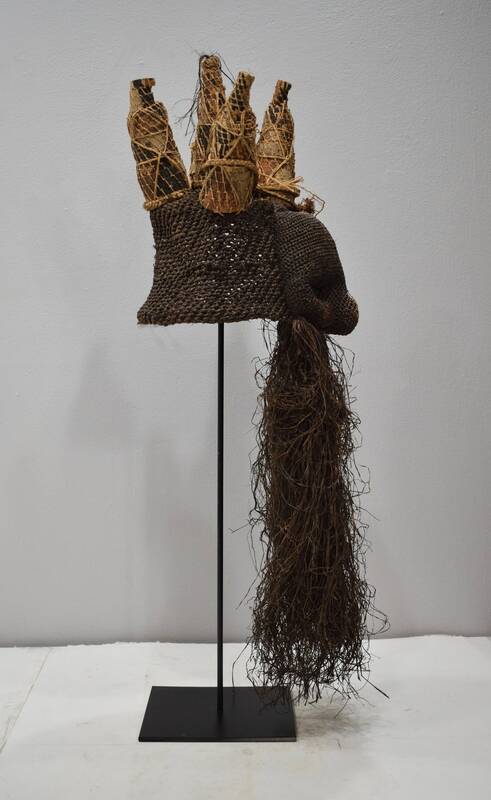 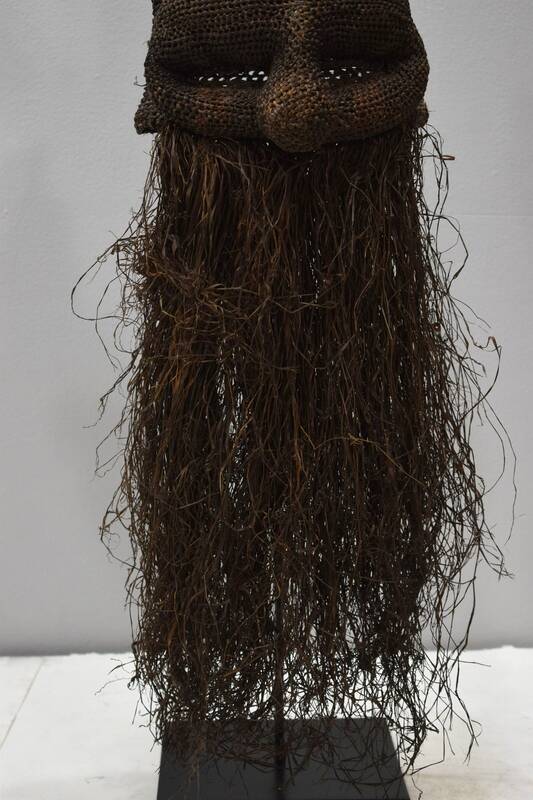 This is a fabulous Museum Quality Indangani Society Akish Woven Fiber and Raffia Soft Mask with 5 Horns from the Salampasusal Tribal People of the Democratic Republic of the Congo. 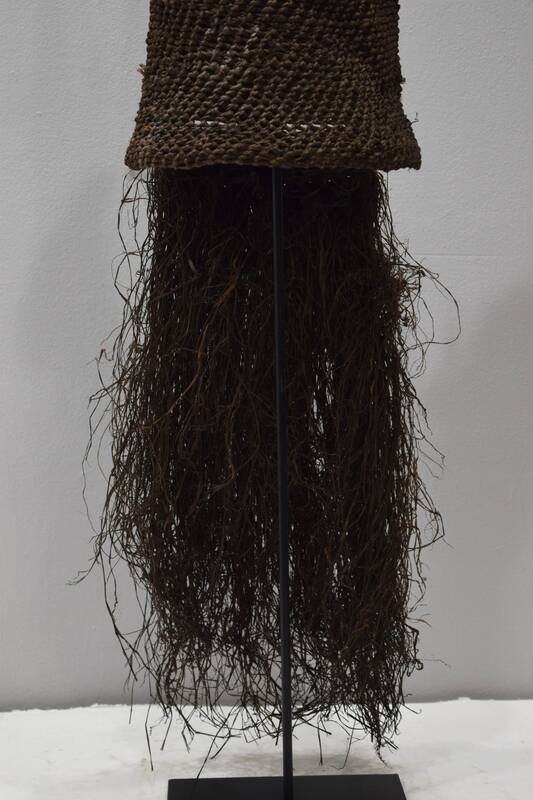 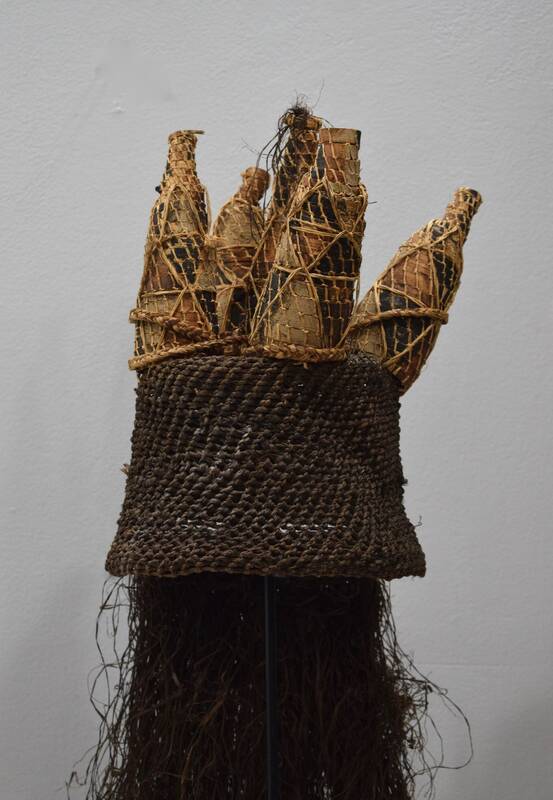 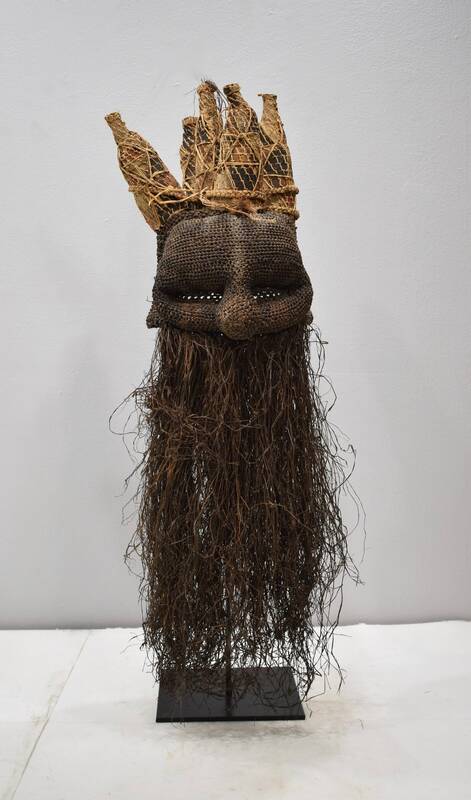 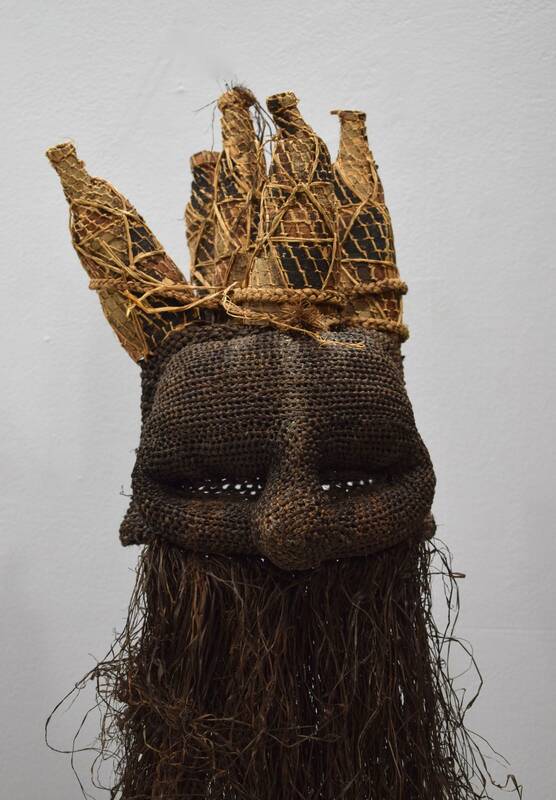 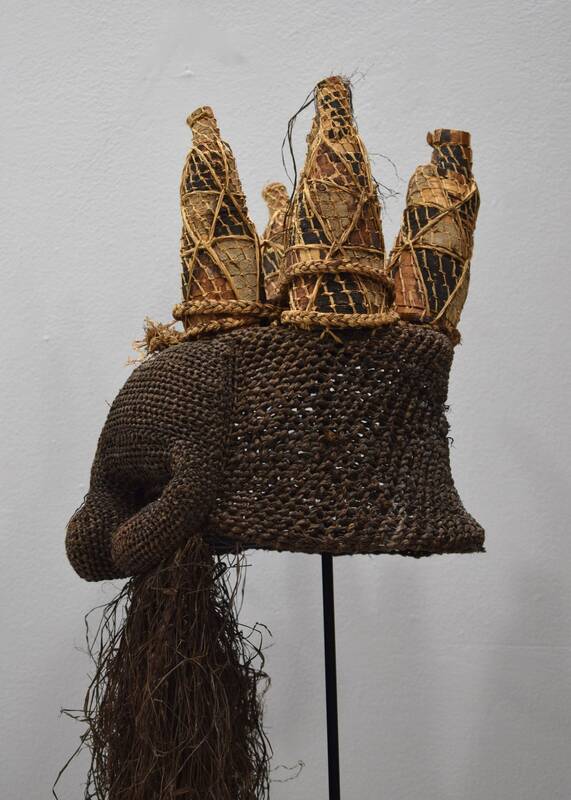 This is a soft woven five horned head covering continuing to a fiber filled and tightly woven mask with high protruding forehead above deep set eye openings and conforming cheeks, flanking a flat cylindrical nose and suspending a long raffia beard. 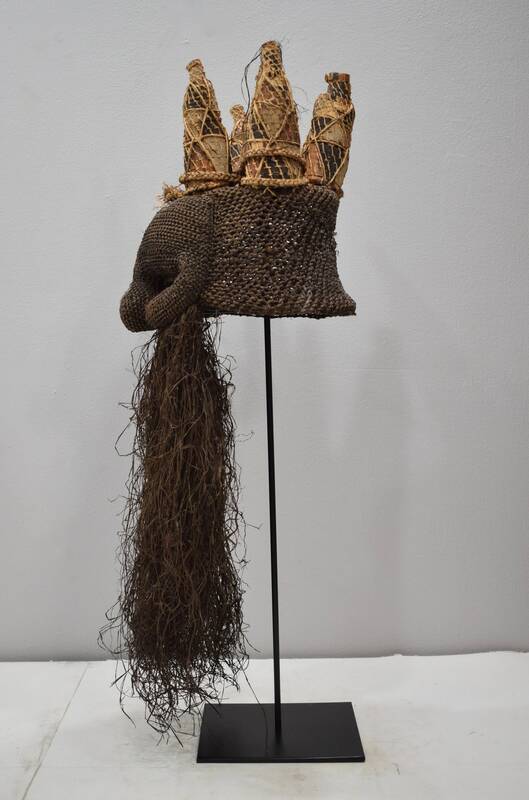 These people are known for their powerful aggressive masks, the Salampasu people of the Kinshasha Congo would have used a mask like this in ceremonies for warrior initiation, circumcision, and funerals. 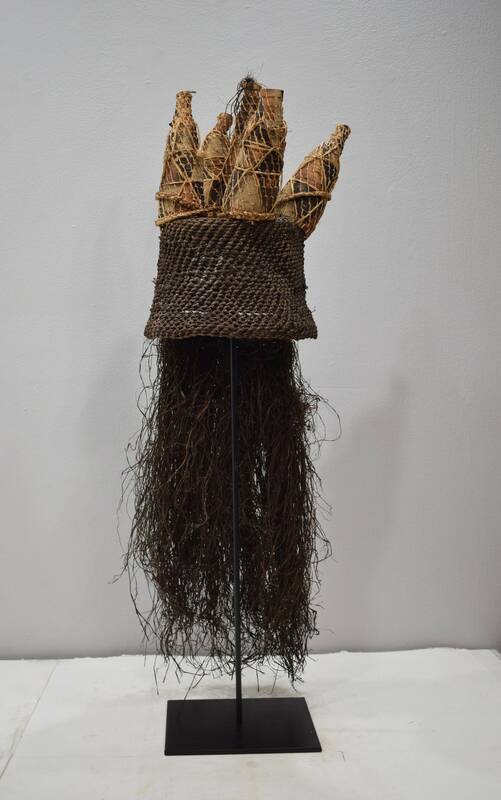 A one of a Kind amazing mask that would be a wonderful item to add to your collection or home.